I love my reaction gifs and memes... they bring a little smile to my face. 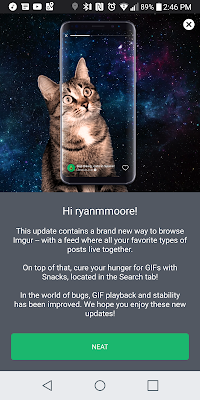 And I love how Imgur actually sends me a notification each day to check something out, because, I'm often to busy to find my own. Well, they've updated the look of the app with new "Snack" and "Feed" features. 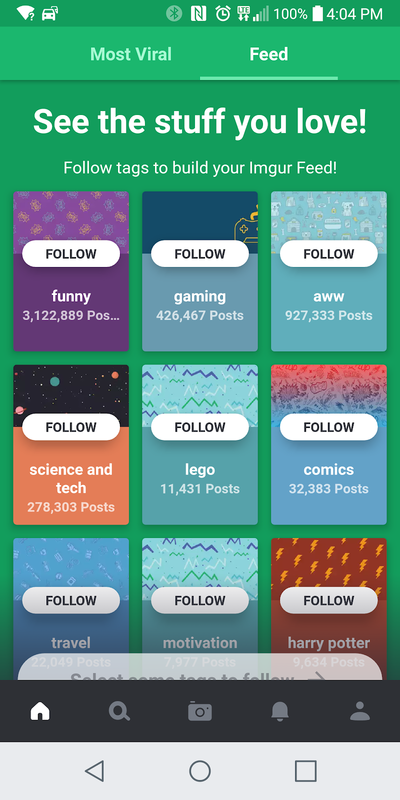 The "Feed" is so that instead of just seeing what's most popular or your search results you can 'follow' a tag now and have you're own 'feed'. Just follow what you like to see (I'm not a cat guy, so would be cool to just see doggos and hedgehogs and whatnot...). Then there's the "Snack" feature. I don't quite see it myself, but it's supposed to be the option to have the GIF at full screen and you can have some playback control. I don't get it, but you can see in the screenshots they show you, it's supposed to be there. Ah, well, at least it's a fresh coat of paint! Imgur, the community-powered entertainment company reaching 250M+ people per month, has just released some new features on Android! The features are called "Snacks" and "Feed," and create immersive and customizable experiences for users. 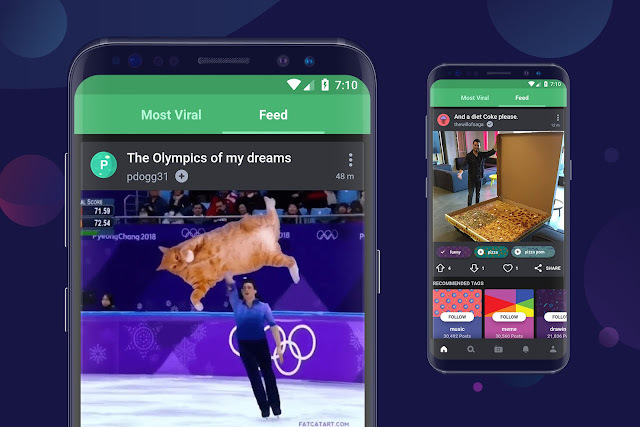 Snacks: An immersive, full-screen GIF experience that shows you the best Imgur content in bite-size, snackable moments. Snacks can be enlarged, rewound and paused, and it lives right below the search bar. Feed: The Feed sits at the top of your homepage, next to the Most Viral grid, and lets Imgurians explore content based on following specific categories or creators. Before now, all users only saw the same thing, but this allows you to customize the experience based on your interests.